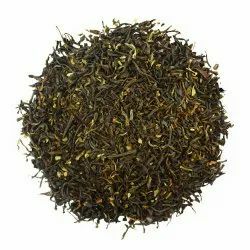 Providing you the best range of earl grey black tea, coconut sencha green tea, oolong darjeeling green tea, silver needle white tea, english breakfast black tea and jasmine blooming tea with effective & timely delivery. Indulge your senses in sencha tea which is the perfect tea for an enriching experience that not only gives us immunity but a soothing touch. HEALTH: Weighty issues? 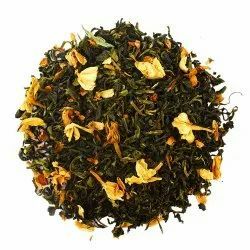 try the green tea, Sencha, the most popular tea from Japan . Processed tea leaves not just overwhelms your brain but also burn those extra kilos with grace. Drinking green tea is like saving body from harmful cell formation by pollution. 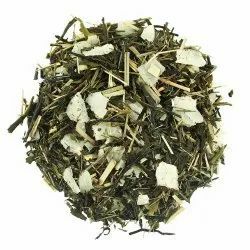 FEEL GOOD: Straight out of bed, gulp in the Japanese beauty called Japan-ease sencha. This blend eases your nerves by calming them with its magical effect making your smile vibrant. 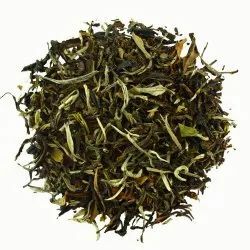 QUALITY: Leaves of sencha are hand-picked and hand-rolled. One can see the leaves unfurl in hot water.The quality that leaves impression is awaiting. So come and grab your pack of sencha now. NO flavors added. 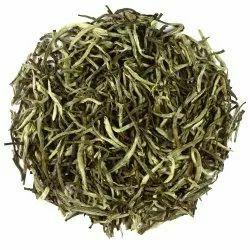 The white tea buds are hand-picked at dawn and scattered in the sun to dry. High in antioxidants, this high-grade Silver Needle has a creamy, delicate taste with sweet notes of honeydew melon. 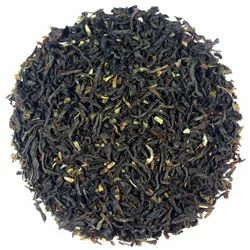 A blend of the malty and the musky in a tea adds to its refreshing essence. It has the longest retention of flavour as compared to any other tea alongwith a rich and strong aroma. These display teas are handmade from spring - picked Jasmine Blooming Tea, tied with flowers.